Charming little ski resort Saint Jean de Sixt is peaceful and lets you enjoy the alpine landscape in full swing. The village itself offers a chance to visit local food shops, explore shops with authentic goods from local craftsmen. With appropriate ski Lift Pass you will be able to ski or snowboard in other Lake Annecy Ski Resorts - La Clusaz, Le Grand Bornand and Manigod. If you are choosing Saint Jean de Sixt for your ski holidays for entire family, be sure to choose Alps2Alps as you transfer provider for an excellent service and great prices. 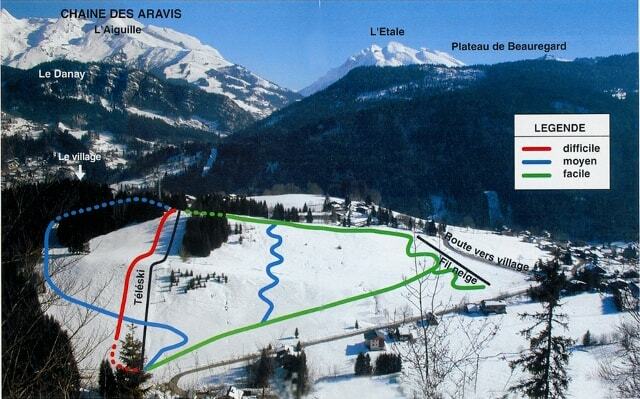 Skiing at Saint Jean de Sixt began already in 1961. The resort is well-known for its small size and often resort is used as the base point for guests from other resorts. There are several airports less than 2 hours away making it easily accessible for international skiers. There are no direct trains to Saint Jean de Sixt. The closest train station is Annecy - daily bus connections from the train station to Saint Jean de Sixt are provided. When choosing transfer service to Saint Jean de Sixt you can be sure that we at Alps2Alps take a dynamic approach to our pricing structure- our main goal is to provide the lowest price possible together with best service. If you are traveling to Saint Jean de Sixt in the off-season and off-peak time, you can count on great discounts. Bear in mind that if you choose your transfer in midweek (Monday-Friday) the prices will be up to 60% lower than weekend prices! Your final transfer price will also be influenced by vehicle availability, transfer schedule, vehicle utilization and other costs like airport parking charges and road tolls. To discuss any specific needs or your plans to travel as a larger group, please get in touch with us directly so we can discuss this. Due to its size Saint Jean de Sixt you might choose Ski Lift Pass that allows you to explore skiing and snowboarding also in other Lake Annecy ski area resorts - a total of 252km with 162 pistes for you to enjoy. The pleasant and calm resort is perfect for the younger and the older who want to discover low priced skiing in the French Alps. Cross-country skiing and tobogganing are also popular, due to breathtaking view all around. It is common to buy ski Lift Pass that lets you access nearby resorts - there are discounts for families and kids. Book online to guarantee the fastest, most efficient and lowest cost transfer to Saint Jean de Sixt. Whatever it takes to get you there in comfort and on time, you can count on Alps2Alps to start and end your trip in the best possible way.